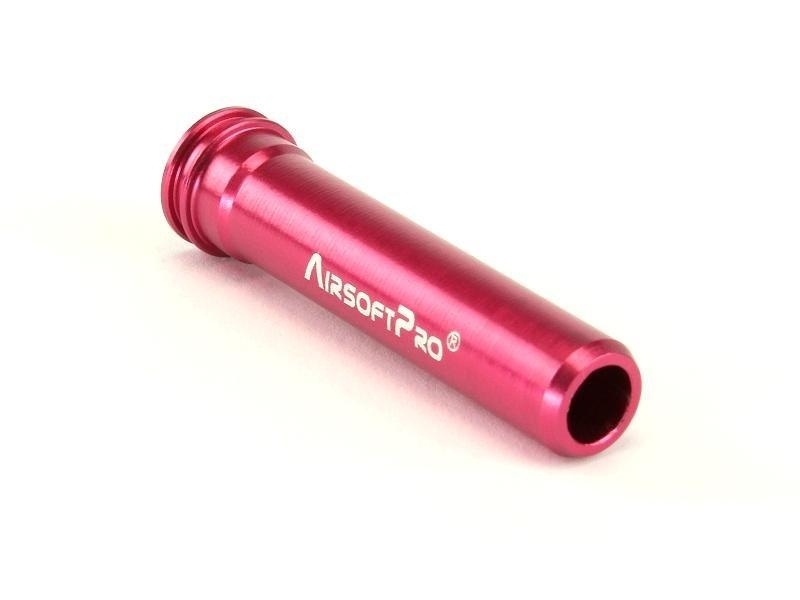 Aluminum durable nozzle for electric airsoft guns. 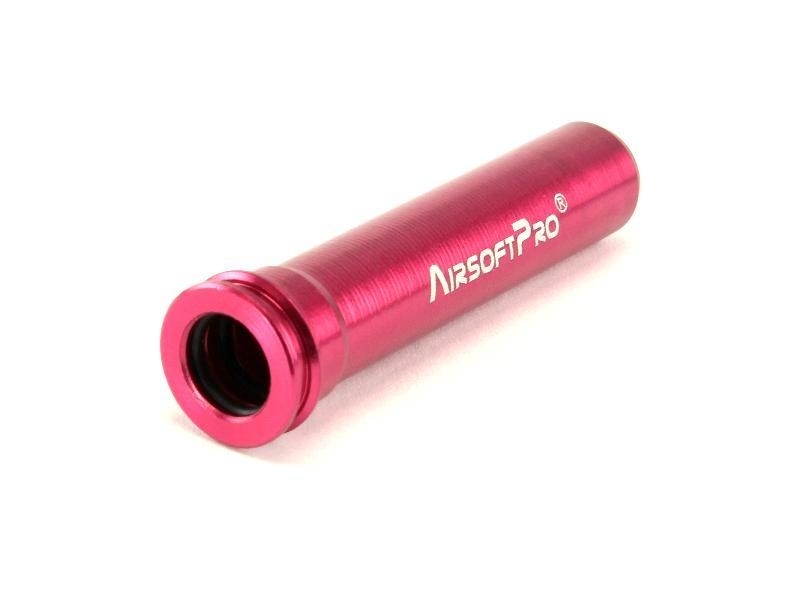 It has an internal rubber o-ring to prevent loss of air during the shot and helps to increase FPS. Specifications: length 35 mm Inner nozzle diameter is 5.5mm. Please note that inner diameter of this nozzle is 5.5mm based on AEG standard. Fit on standard cylinder heads with the nose diameter around 5.35mm. Not fit on stock A&K cylinder head, which has non-standard diameter 5,6mm. We also produce nozzles for original A&K cylinder heads. 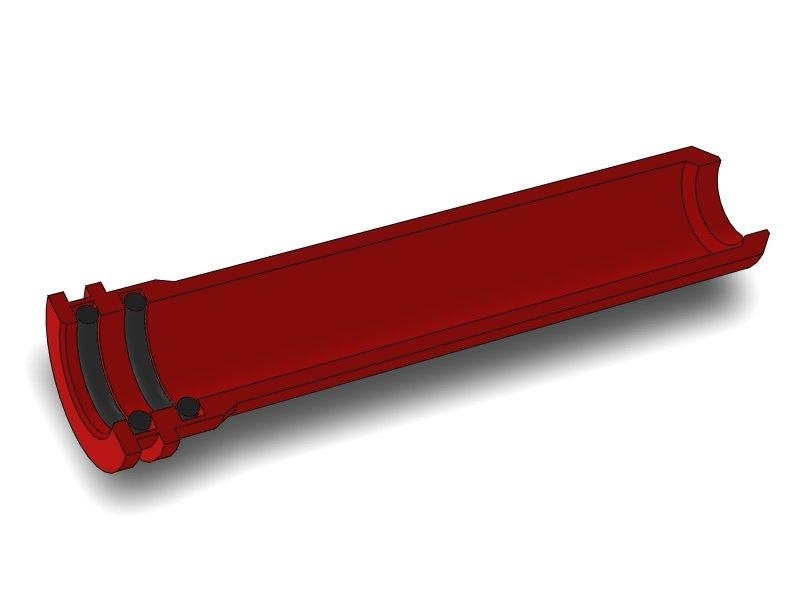 Different manufacturers may use different nozzle lengths for the same weapon model. Please make sure that nozzle length meet your needs. A poorly chosen nozzle fundamentally affects the performance, or gunfire-ability. Under ideal conditions, the nozzle should fully fit on the HopUp rubber band and not touch the chamber surface.